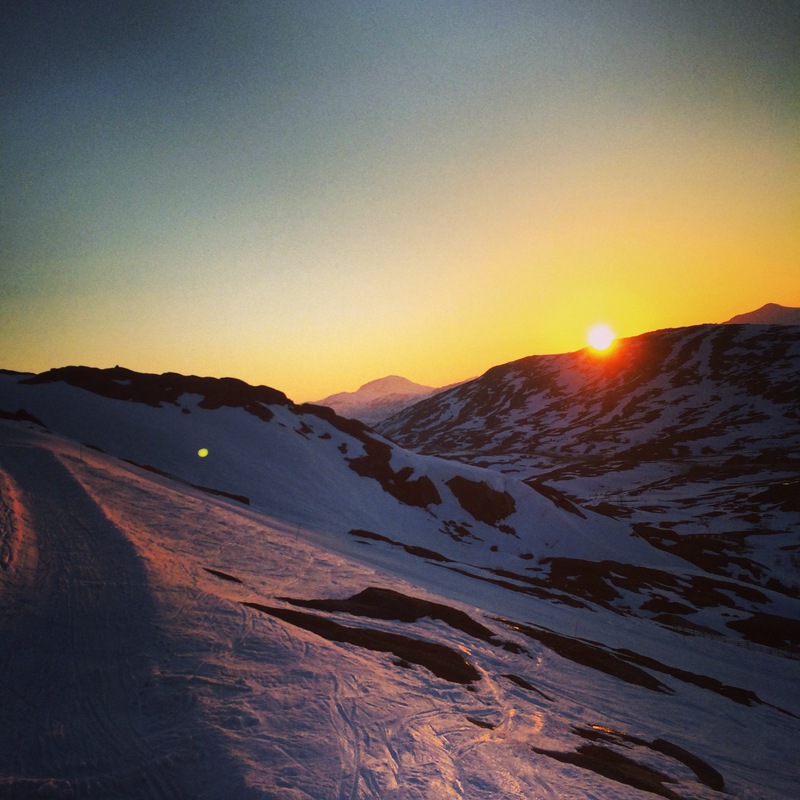 Solo-ing in the Arctic Circle – Packing it in. Quitting your job and seeing the world. Every now and again, you need some time out. This is just a truth of life. It was April of 2014 that this occurred most recently to me and, in a fit of helpless impulsiveness, I decided to fulfil a desire that the film ‘The Secret Life of Walter Mitty’ had only recently sparked – solo adventure in the freezing cold, basically. Fun times. The itinerary was simple: fly to the Arctic Circle, rent a car, cross a Scandinavian border, try a new food and mostly ski under the midnight sun. The midnight sun is the vastly less famous of Northern Scandinavia’s sky related phenomenons. Given just how otherworldly and surreal the Northern Lights are this is probably fair enough, but the poor old midnight sun…it’s glorious. You’ll see. Riksgransen was the chosen destination, as one of the only ski-resorts open so late in the season. Thus, with hastily-retrieved-from-attic pocket guide to Sweden in hand, I departed. ttps://benandlaurensadventure.files.wordpress.com/2014/10/screen-shot-2014-10-13-at-21-20-34.png”> 2001 edition. Little bit outdated. The striking thing about arriving at Kiruna airport, just south of the Arctic Circle – my, people are laid-back here. Here’s your car sir, don’t worry about signing anything we don’t file it anyway. Enjoy your time in Sweden, if you’re late returning that’s ok…just be safe. <3. It’s also f*cking freezing. Though that was kind of the point. I can honestly say that I have yet to experience in my 23 years of living a drive that was more breath-taking than parts of the 11pm drive down the empty E10 from Kiruna to Riksgransen. I may have been residing in an ancient Toyota hatchback with broken air-con and poor radio reception, but there was no taking away from the sheer scale of the beauty before me. dlaurensadventure.files.wordpress.com/2014/10/screen-shot-2014-10-13-at-21-19-55.png”> The E10 drive. The name doesn’t really do it justice…try calling it ‘The Galacial Highway’. [/caption]I’ll be honest – I repeatedly stopped to get out and just drink in the awe-inspiring scenery. Frozen lakes, golden in the fading (but never truly faded) sunlight, snow-crested mountains as far as the horizon and further… it was majestic. Properly majestic. I was disappointed when I arrived at my destination, in some way. I don’t know quite what I was expecting from the final week of season at a small resort somewhere beyond the realms of normal civilisation, but I was surprised to find I was amongst one of only four or five other visitors. I suppose most people tend to ski during, y’know, actual ski season. Nevertheless, I spent the following days attempting to satisfy my fairly modest aims. Immediately after a brief jaunt on the slopes to judge appropriate clothing and the difficulty of the mountain, I decided to ask the concierge about the borders. “Excuse me sir. How far to the Norwegian border?”. “You were in Norway, just now”. Oh. Well, that was… unexpected. Slightly disappointing too if I’m honest. I returned to Sweden (long trip) determined that the other objectives of the trip shall be more satisfying. 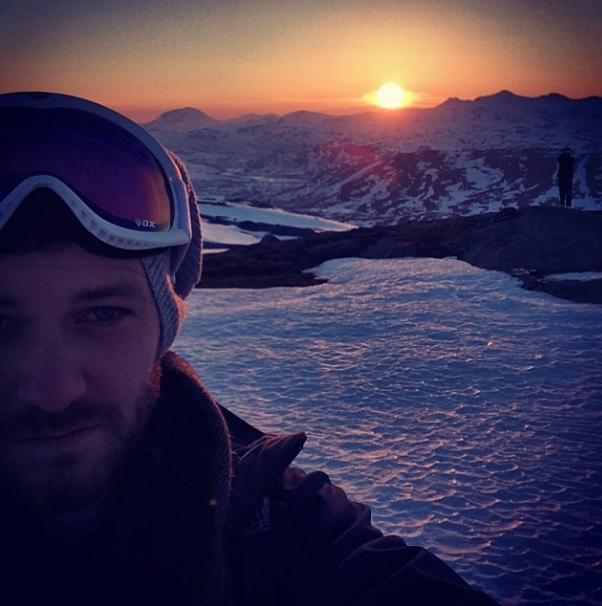 That evening, after some time enjoying the slopes, I took a trip to the one and only restaurant open in Riksgransen. Spoilt for choice. m/2014/10/screen-shot-2014-10-13-at-21-20-10.png”> The scenery and book may have influenced my opinion on how good dinner was. [/caption]That’s bacon you see on top of it, and some unidentifiable arctic vegetable. And carrots. Moose itself, or at least this particular moose, has a very rich and smoky flavour. 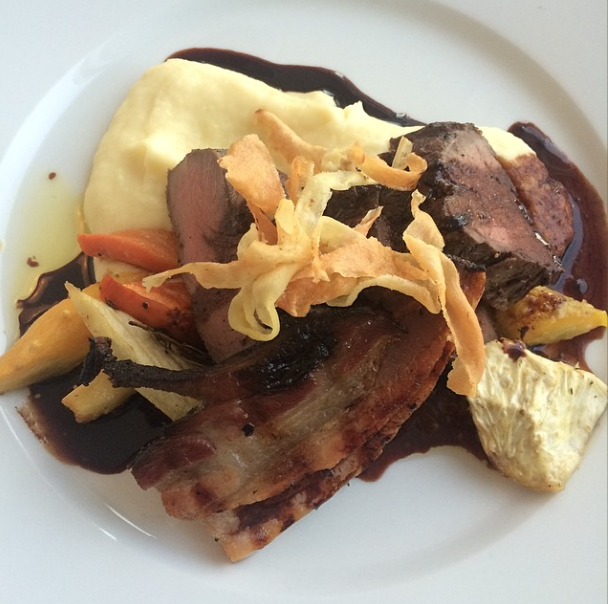 In some way, it is akin to venison…yet it is more than that in some way that you can only know once you’ve tried it. I’m not sure why it hasn’t become more popular if I’m honest. The midnight sun was what I really came for though. That second night was, apparently, perfect. Clear skies, good snow conditions, I was excited. More than anything, I didn’t want to ruin the moment by peeking out before I had made it to the ‘prime location’ at the top of the slopes. I wasn’t the only one who’d come for this. It turned out that this ‘perfect night’ for the midnight sun had attracted a busload of tourists from the South… all come to take photos and gape at what really is a truly special sight. Personally, I did what any right-minded person who was on top of a mountain in the freezing cold, drinking in a scene of spellbinding beauty would do. I even got another guy taking a selfie in the shot. Selfie inception.